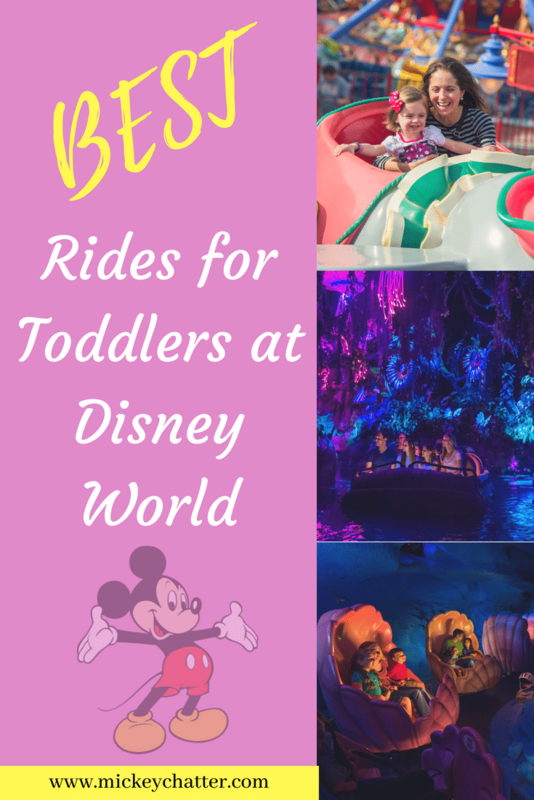 If you are travelling with young children, you may be wondering what are the best rides for toddlers at Disney World? 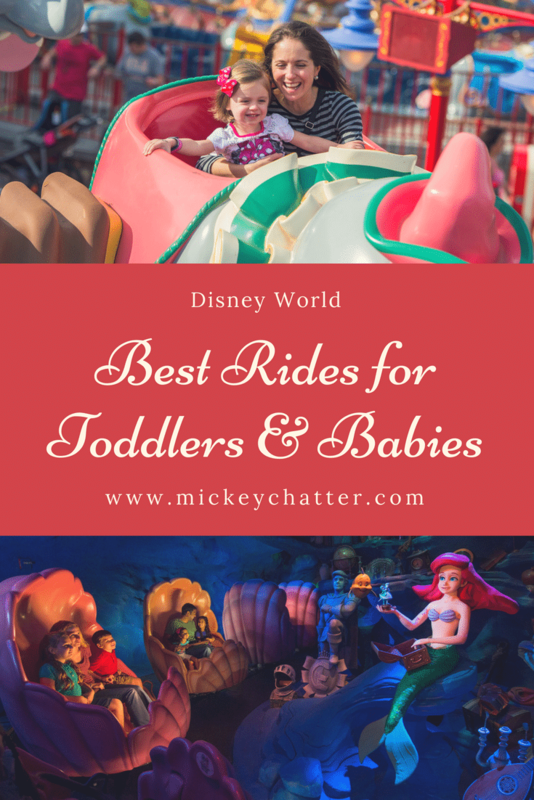 Having a toddler with you can sometimes limit what you can ride, but one of the things I love about Disney the most is that they have so many rides that someone at any age can ride. Sure, they have some more thrilling rides that will only appeal to older or thrill-seeking people, but there is something for everyone there. Dumbo. A classic Disney ride that takes you for a mild ride on a flying elephant. It does go up in the air, but not very high and the thrill level is quite mild. You just sit back in your elephant vehicle and enjoy the flight. You can control how high you go, so if you want to stay low, you can. Many Adventures of Winnie the Pooh. A slow moving ride through the Hundred Acres Woods. You’ll embark in your honey pot vehicle and then be taken through a series of scenes that everyone will find amusing. Prince Charming Carousel. This is your classic carousel ride, great for any age. Whether you ride a horse yourself or stand next to your little one holding them as they ride, everyone is sure to enjoy it. Under the Sea – Voyage of the Little Mermaid. Take a trip down under the sea in a seashell vehicle. 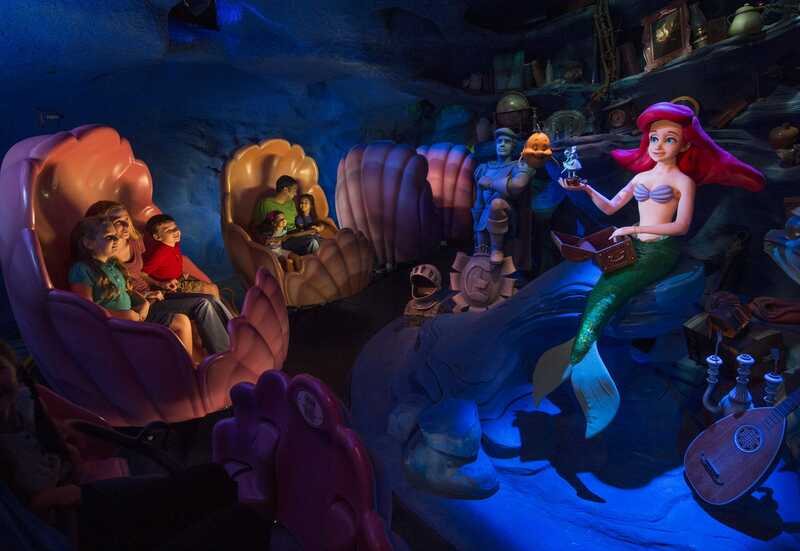 A very slow moving ride, you’ll get to relive some of the iconic moments from the Little Mermaid movie. Lots of fun and great music to enjoy. It’s a Small World. 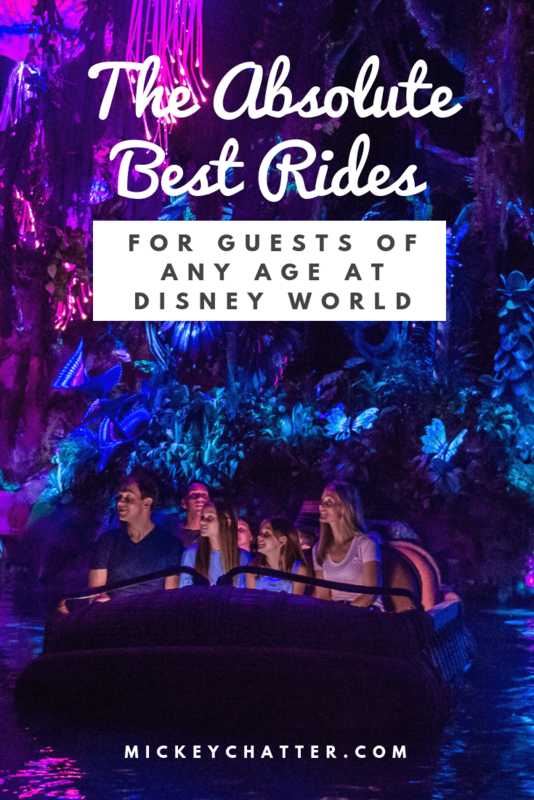 A must-do for any Disney first-timer! This is a slow moving boat ride where you’ll get to see a series of audio-animatronic children from all over the world singing in unison to the same song. It’s a feel good ride and one that Walt Disney helped to develop. Peter Pan’s Flight. Relive the story of Peter Pan and sail above pirate scenes. This is a slow moving vehicle that suspends you above certain scenes, and it’s all in the dark too with everything lighting up below you. Don’t worry, it’s not very high, so a fear of heights shouldn’t stop you from riding. Magic Carpets of Aladdin. Very similar to Dumbo, except your ride vehicle is a magic carpet. You get to go round and round, and watch out for the spitting camel! You may get a little wet. 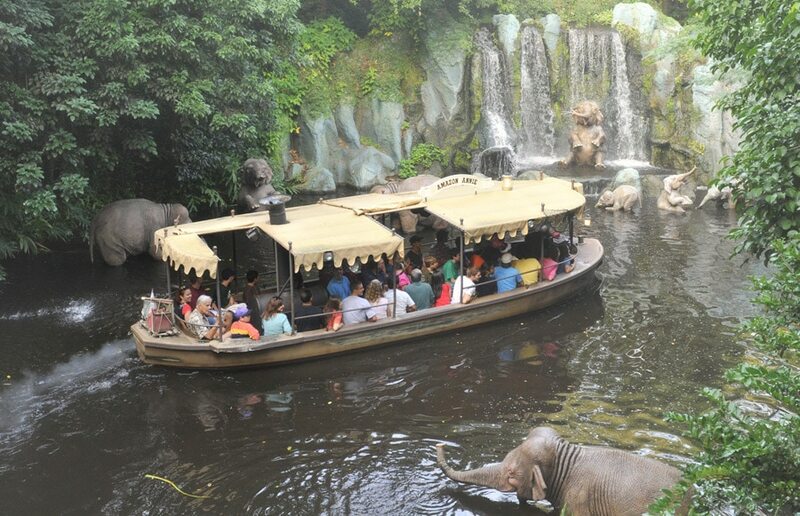 Jungle Cruise. Take a guided boat tour through the jungle and prepare to be entertained by your skipper. It’s a slow moving boat ride where you’ll see many “animals” along the way. Liberty Square Riverboat. You’ll get to ride on a traditional steam boat. It’s a great way to take a rest and break up the day. You’ll get to see portions of Tom Sawyer’s Island from the boat and get views of Big Thunder Mountain. Peoplemover. A monorail-style ride that takes you on a tour of Tomorrowland. There are inside and outside portions of the ride and it’s a great way to get some nice views of the park as you put your feet up. Buzz Lightyear’s Space Ranger Spin. On this ride you’ll try to defeat the evil Emperor Zurg. You embark in your vehicle and then try to shoot at the Z’s with your laser gun. It’s a very slow moving ride and if you have an infant, they can just sit in your lap. Carousel of Progress. This one isn’t really a ride, but it does move so we are including it on the list. The revolving theatre will take you through a series of scenes where you’ll explore how technology has progressed throughout the years. Spaceship Earth. This ride provides you with a bit of a history lesson. It takes you up and through the iconic Epcot ball as you learn about the progression of humans and how we evolved. The Seas with Nemo & Friends. 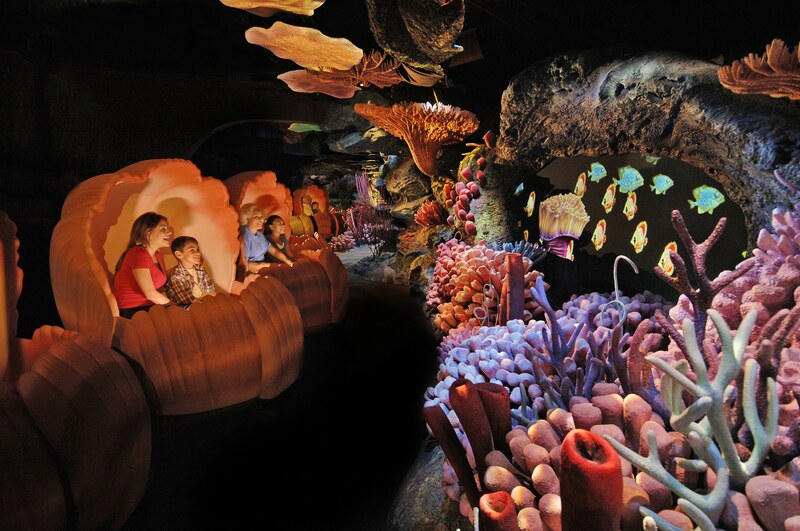 A fun ride for everyone where you will get to relive moments from the Finding Nemo movie. It is slow moving and quite relaxing. Living with the Land. This ride is interesting and educational at the same time. It’s a slow moving boat ride where you will learn about how we grow our food. You’ll get to see many of the various foods that Disney grows themselves at Epcot to service their restaurants. Journey Into Imagination with Figment. Take a ride through your imagination with Figment and learn all about the human senses. It’s a fun ride and slow moving, so great for any age. Gran Fiesta Tour Starring the Three Caballeros. This is a slow moving boat ride as Donald and his caballeros take you on a tour of Mexico. It’s a colorful ride with fun music, and young ones will like the character appearances. Kilimanjaro Safaris. Ever imagine what it would be like to do an African safari? You won’t have to imagine it anymore once you go on this ride. Embark in your jeep as your driver takes you on a ride to view several different kinds of animals. It is a must-do for sure! Na’vi River Journey. 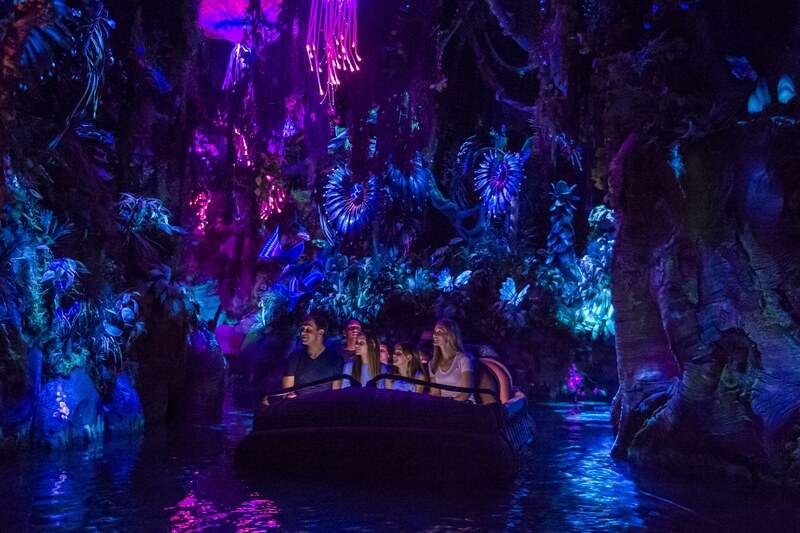 A magical boat ride through the forest of the Na’vi at night. You’ll get to experience what the bio-luminescent forest would look like and encounter some magical creatures along the way. Triceratop Spin. This ride is very similar to Dumbo, except your ride vehicle is shaped as a dinosaur. You get to twirl around in the sky and this is perfect for young and old alike. Muppet Vision 3D. Not a ride, but I included it because you can get a Fastpass for it. It’s a 3D movie featuring characters from The Muppets. Toy Story Mania. This is a ride and a game all in one! If you have little ones, they can sit on your lap or in between two adults. You’ll pass through a series of screens where you’ll try to aim at targets with your “gun”. The purpose is to get as many points as you can by the end of the ride. What rides will be on your to-do list as a family? Do you have any favourites that are not mentioned above? If so, leave me your comments below!